Princeton University has closed on the site of Larini’s Service Center, which for several decades ending this week has occupied the corner of Alexander Road and Faculty Road, providing automotive services to local residents. Philip Sean Curran at the ‘Princeton Packet’ has been all over the story, breaking the news earlier this week and following up with a full interview from Mr Larini, who expressed mixed emotions about closing his Princeton business. But the big question now is what will happen to the site, which potentially offers the town a huge opportunity to promote transit-oriented development. The site is just a 6-minute walk from the bus and rail hub at Princeton station, and a 20-minute walk from downtown Princeton. The University seems to favor the idea of mixed-use development, which sound like something that could also benefit the town. In recent years, there has been a deal of controversy as the University has been perceived to be acquiring more and more land around the town, including, perhaps most notably, the old ‘Dinky’ rail station. If Princeton U. is inclined to work in partnership with the town to use the Larini’s site in a way that is mutually beneficial, then that chance should not be spurned. In addition to being a potential point of partnership with the University, redevelopment at the Larini’s site also offers the possibility for Princeton to embrace walkable, transit-oriented development. Whereas Princeton elected officials have often spoken of their support for transit, the fact remains that the town is seeing cutbacks on transit service. The US 1 Growth Strategy report specifically encouraged Central Jersey municipalities to modify their land use to add housing and retail in areas that are served by transit, and to do so at ‘transit-supportive densities’. As the report noted, failure to do this is likely to lead to utter gridlock on local roads in the coming years. Yet Princeton, and also West Windsor have utterly failed to capitalize on their existing transit infrastructure by adding homes around NJ Transit rail stations. This point was noted in a recent report by NJ Future, which criticized NJ municipalities for persisting with wasteful land use patterns around transit stations. Right now, the zoning around Princeton rail station allows for ‘services’, most of which, for better or worse, migrated long ago to Route 1, leaving the zoning out-of-date and unfit for the 21st century. Princeton should rezone the Larini’s site, and the surrounding lots along the so-called ‘lower Alexander corridor’ for much-needed housing. This would allow residents to take advantage of existing bus and rail transit, and add riders to the Dinky, while causing minimal impact on existing residential areas. As part of this effort, Princeton should apply to NJDOT for ‘Transit Village’ status. This program provides increased financial support to municipalities that are working to concentrate development at defined sites near transit. West Windsor already has ‘transit village’ status, even though development around the Princeton Junction rail station seems to be in a perpetual holding pattern. Princeton should take the baton and show our neighbors to the south how to do transit-oriented development right. A Princeton Transit Village makes sense, but so far, local elected officials have hedged when asked about plans for the Alexander corridor. That’s not really good enough. Our Council members should be leading and making the case for the benefits of a Transit Village on Alexander. They are not doing so, presumably, because they fear backlash from local residents who hate any kind of new development, and mis-trust the University. Those fears should be articulated, but in the context of the realization that this is one of the smartest sites in Princeton for new housing. The Princeton Planning Board is currently redrafting the Housing Element of the Community Masterplan, in light of new affordable housing requirements. This could be the ideal time to make specific plans to target some of that housing for a transit-supportive site in the southern part of the town. Save the Date: – We are planning a Walkable Princeton meet-up on the evening of Wednesday August 19…mark your calendar for a chance to get together to chat about walkable planning issues with members of the group! 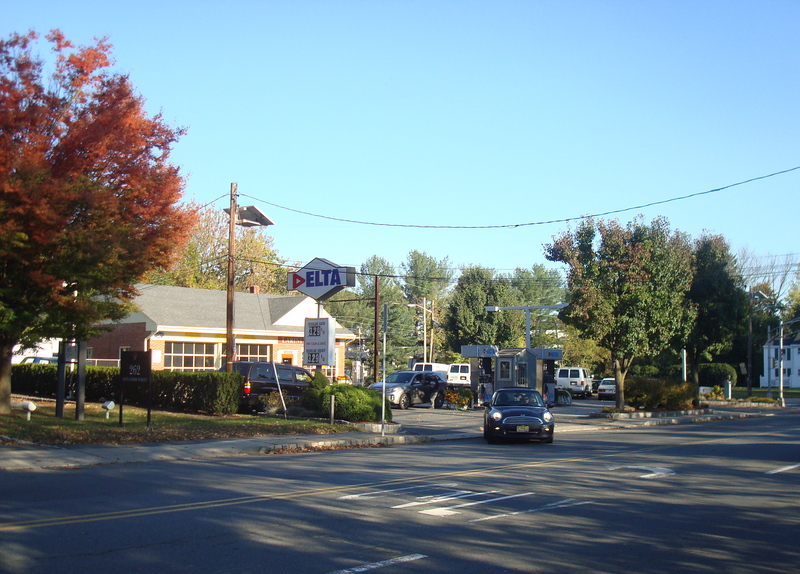 This entry was posted in Affordability, Alternative Transportation, Density, Placemaking, planning, Princeton, Smart Growth, Sustainability, Traffic, Transit, Zoning and tagged Affordable housing, NJDOT, planning, Princeton, Transit. Bookmark the permalink.